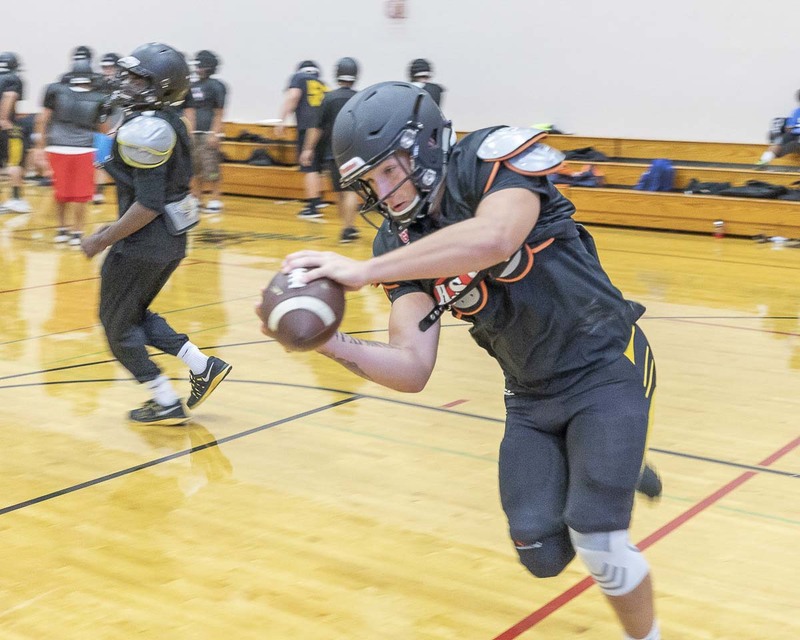 The Hudson’s Bay Eagles are out to show that the program has arrived, meaning it can withstand losing a lot of talent to graduation one year and maintain competitiveness. Week 1 ended in a three-point loss, but the Eagles don’t need to be too disappointed. They lost to a playoff team from a year ago. Plus, the first couple of weeks are for learning, especially for some players at new positions. He noted the play of freshman starting quarterback Dylan Damon, who played a quarter. Then Carter Morse, who is transitioning from wide receiver, played quarterback for three quarters. “Each of them had limited experience (at the position) and had full confidence to win the game,” Lions said. The coach said there was no panic from the defense when things got tough for the Eagles, who had key fourth-down stops to remain in the game. “A new secondary worked well together but had a hard time limiting the big plays,” Lions acknowledged. JacQuez McDonald, known more for his defense, shined on offense with big catches and “sneaky” speed, according to Lions. On defense, Derek Barnes was tough to block, always causing trouble in the Washougal backfield. The Eagles, who will host Class 4A Heritage at Kiggins Bowl, said the goal is to play a complete game. Lions noted that both the Timberwolves and his team played close games in Week 1. Each team should expect another high intensity game in Week 2.